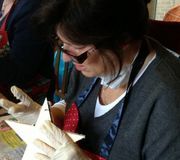 I run a range of themed workshops throughout the year, the atmosphere is relaxed and friendly. 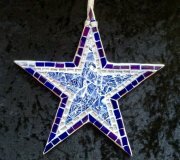 Whether you've made mosaics before or not, tap into your creativity and have a go at making your own unique mosaic Christmas star. 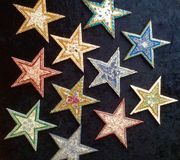 Use it to decorate your home each year throughout the festive season, or perhaps give it, as a very personal gift, to someone special. 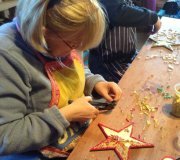 Use of tools, guidance, template and a selection of colourful materials will all be provided, as will refreshments and a homemade lunch.